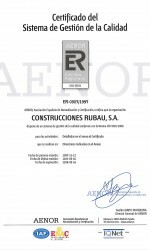 Rubau has been renowned for some time for both commitment to and advances in the field of occupational risk prevention. 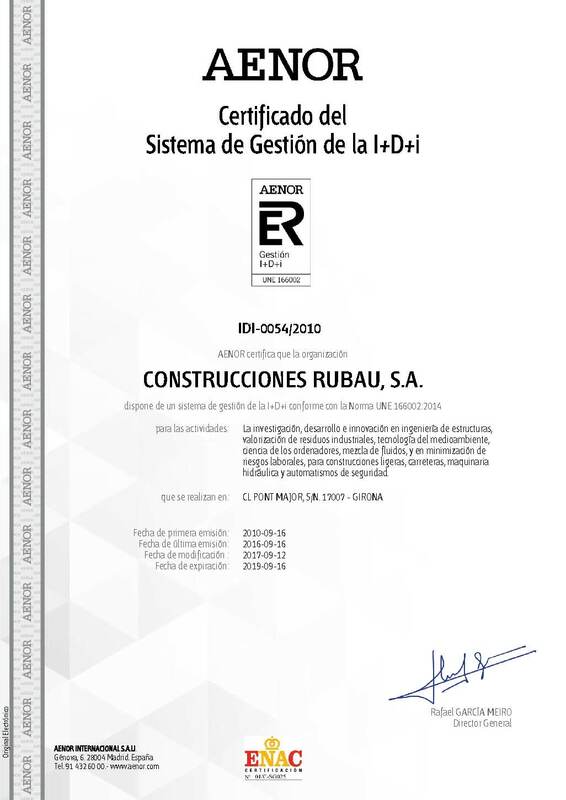 Rubau was one of the first Spanish companies to make a commitment to risk prevention management and since 1996 has had an occupational risk prevention management system integrated into the general management of the company, which is currently certified under the OHSAS 18001 standard. 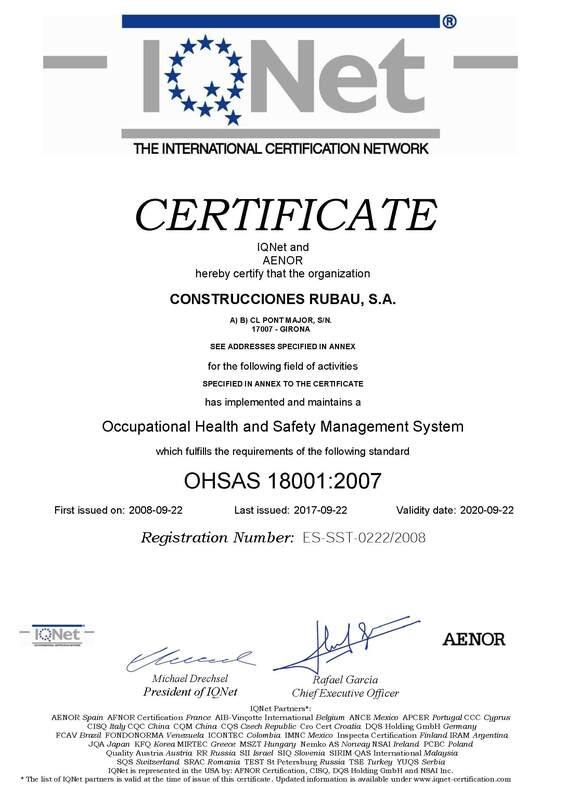 However, the most important contribution of the company in this field has been through the campaign Construyamos seguros [Let’s Build Safely]. 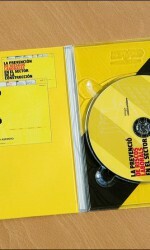 This ambitious campaign was launched in the year 2000 and focuses on 8 important key areas. 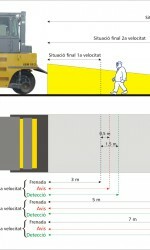 It is designed to provide technical and pedagogical tools to reduce industrial accident rates. The significant commitment of the company in this area has been rewarded and well recognised at regional and national levels, most recently with the DIPLOOS National Work Safety Trophy. 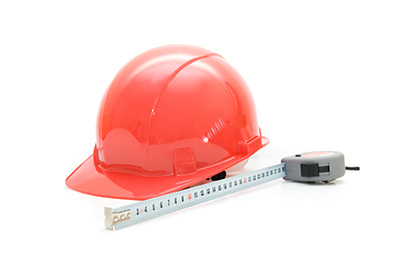 Achieve an optimal level of health and safety in work centres both nationally and internationally, complying with current legislation and other requirements that exist in this area. 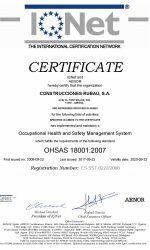 The company undertakes to accomplish this, along with its firm commitment to the prevention of injury and ill health, within a framework of continuous improvement in its health and safety initiatives. 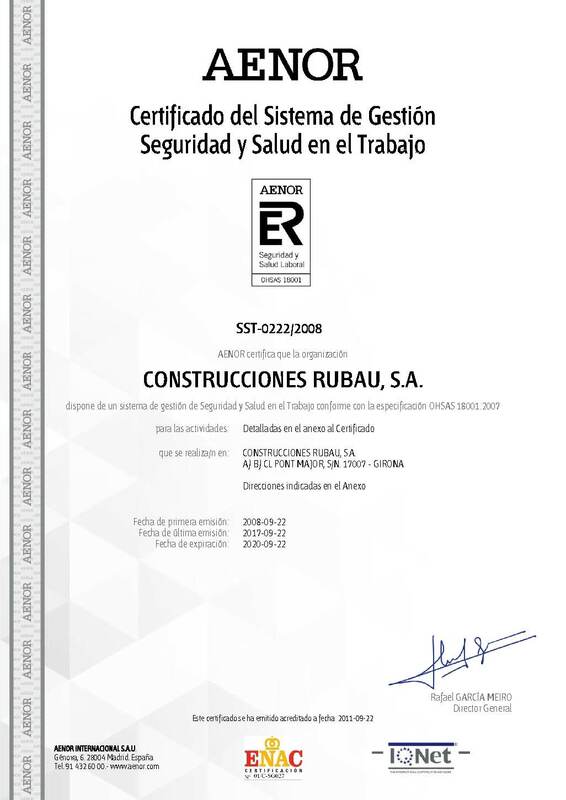 Foster consultation, training, information and the participation of all employees, including subcontractors, in the area of occupational risk prevention. Achieve a high level of satisfaction among employees regarding their working conditions. Achieve a high level of client satisfaction regarding the management of occupational risk prevention in the company’s work centres, both nationally and internationally. 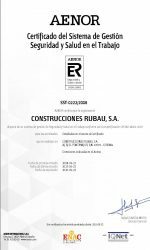 Rubau is strongly committed to respecting and conserving our environment, which has enabled the development of innovative projects, one of the most important of these being the campaign Hormigónverde [Green Concrete]. 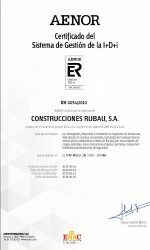 This project involved the in-plant recycling of hot bituminous mixtures for the first time in Spain. 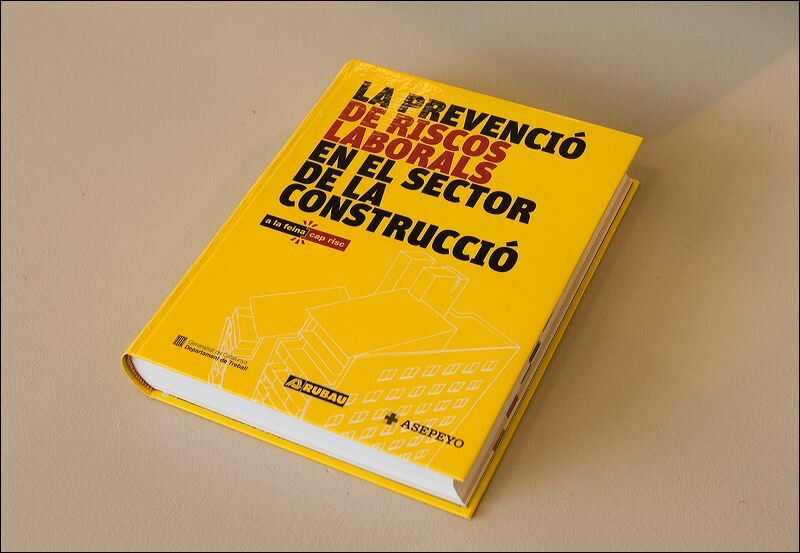 Another project which deserves a mention is the book Gestión ambiental en la ejecución de obras [Environmental Management of Works], a pioneer work in the sector in the identification of the principal environmental factors in the construction process. 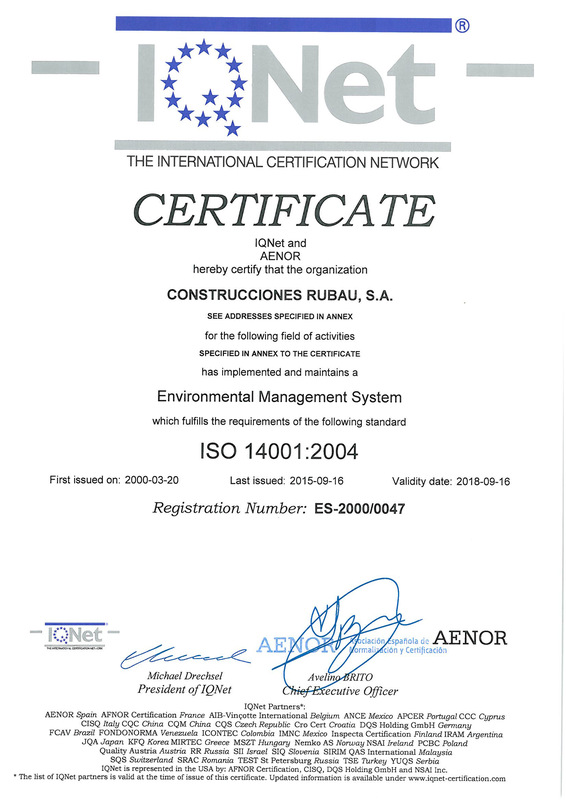 Both of these are the result of efforts by the company to continually improve the environment since the company was certified under the ISO Standard 14001 in the year 2000. 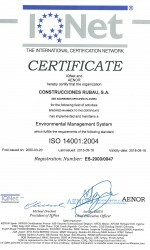 Rubau’s numerous contributions in this area have received various awards, including the International SIM Prize in Italy and the European Award for the Environment. Ensure the prevention of pollution and protection of the environment, complying with legislation and environmental regulations, both national and international, as well as any other requirements and commitments that exist. Establish the principles of continuous improvement in environmental activities. Achieve a high level of client satisfaction regarding environmental management in the company’s work centres both nationally and internationally. Ensure the meaningful integration of environmental management in all areas and activities of the company and establish firm commitments with the communities in which we operate. Promote active participation and a sense of responsibility among all the company’s employees with respect to the impact of their work on the environment, employing the necessary training and information to this end. The need to improve internal processes as well as the products and services we offer our clients has led us to develop a research and development programme to continually produce technological innovations. This work is structured through an R&D&I Department, which carries out its activities based on a Development Plan that is reviewed annually. 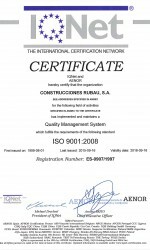 It has generated some very important projects for both the company and the sector in general. Integrate R&D&I as a basic principle of the company and establish a policy of continuous improvement in the R&D&I process, improving the effectiveness of its management system. Assign the necessary resources for the development of R&D&I products and ensure system feedback. Involve and motivate the company’s employees to foster their participation and commitment to R&D&I activities, offering them appropriate training, with the aim of ensuring personnel who are qualified to work within the R&D&I management system. 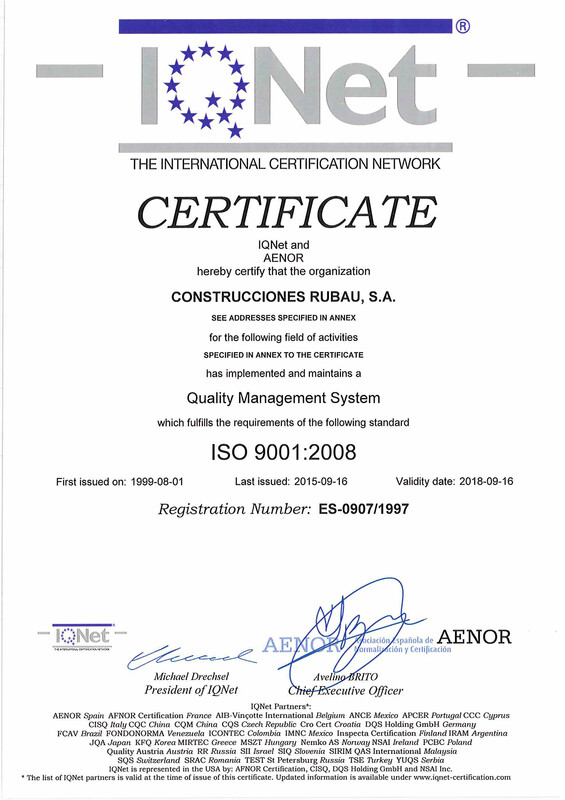 Innovate in structural engineering, the recovery of industrial waste, environmental technology, IT, fluid mixing and minimisation of occupational risks for lightweight constructions, roads, crushing plant machinery, hydraulic machinery and automated safety devices. Ensure that the R&D&I projects and activities carried out by the company meet the needs and expectations of its clients. 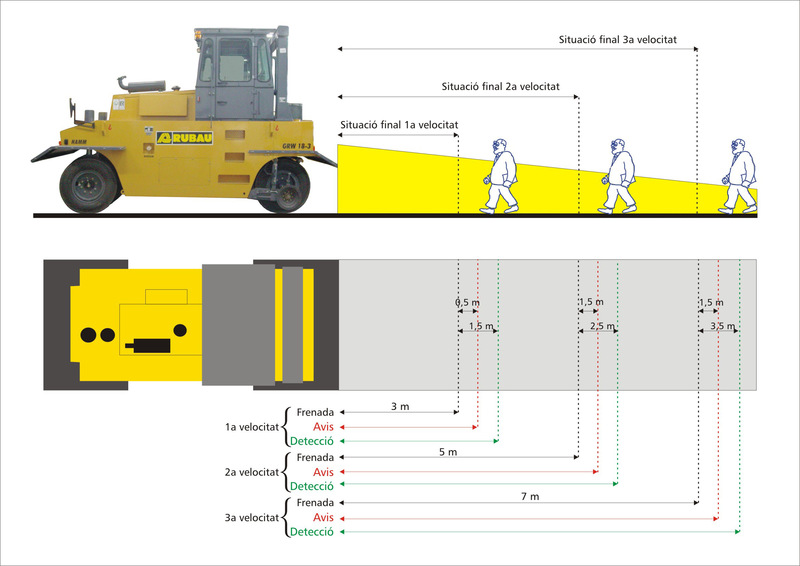 Comply with the requirements of the current version of UNE standard 166002. 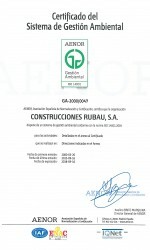 ConstruccionesRubau, S.A. has also made significant contributions in the area of corporate social responsibility, the result of a modern, socially committed corporate vision. 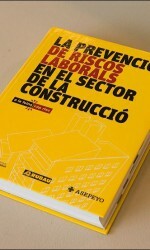 An important project in this area is the publication of the book La prevención de riesgoslaborales en el sector de la construcción, [Occupational Risk Prevention in the Construction Sector], which is designed to improve technical documentation as well as training and information of workers in the sector. 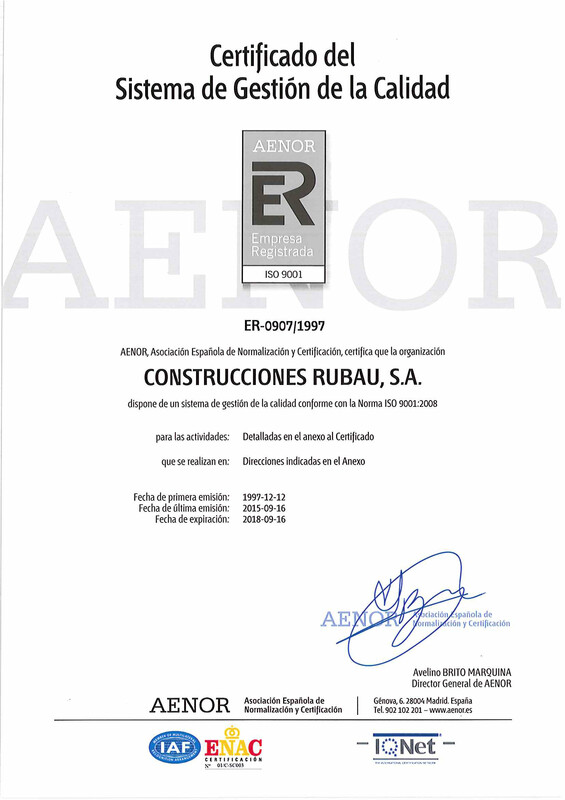 This project has been developed with the collaboration of more than 80 companies throughout Spain and has been provided for free to the construction sector and society in general. 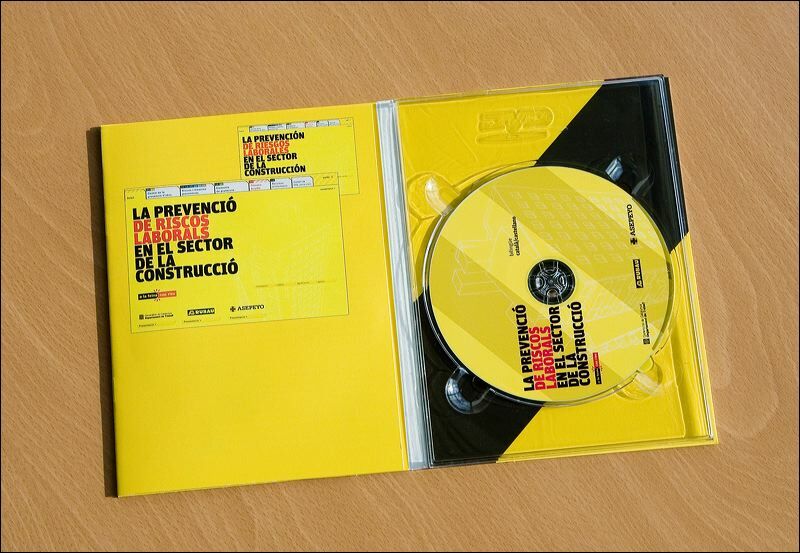 A good example of this was the distribution of 10,000 free copies at the 2007 Construmat Expo in Barcelona. 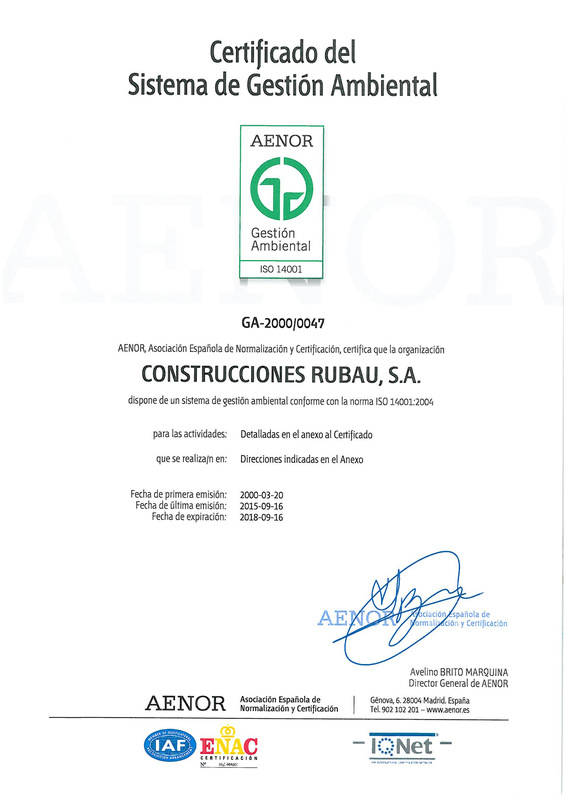 This project has already been recognised with various awards, including the National 28 April Award for Occupational Risk Prevention and the Preventia Award.